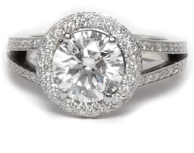 This ring is a bombastic ballad of beautiful diamonds sparkling and accenting the platinum band and, most importantly, the center diamond that you choose to showcase in this setting. 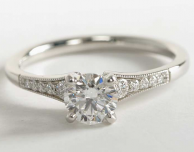 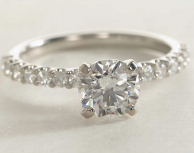 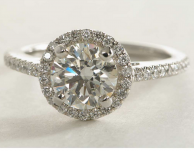 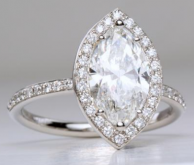 A ring of halo diamonds surrounds your center diamond and an additional 4 diamonds are set into either side of the band. 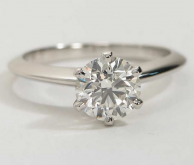 Total diamond weight, excluding your center stone, is .85 carats. 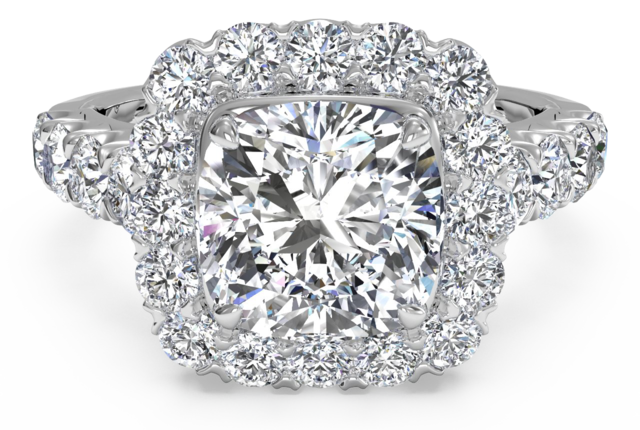 This ring was designed to be set with a cushion cut diamond, but you can also set a round diamond in the center if you prefer.